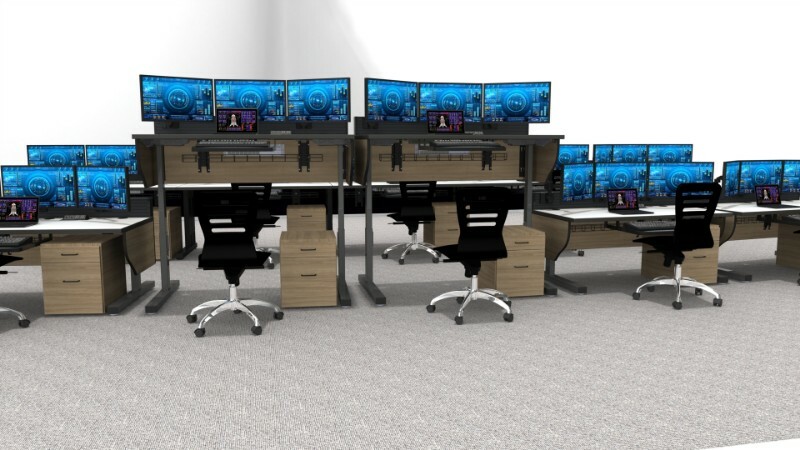 Multiple rows of adjustable height dispatch furniture. 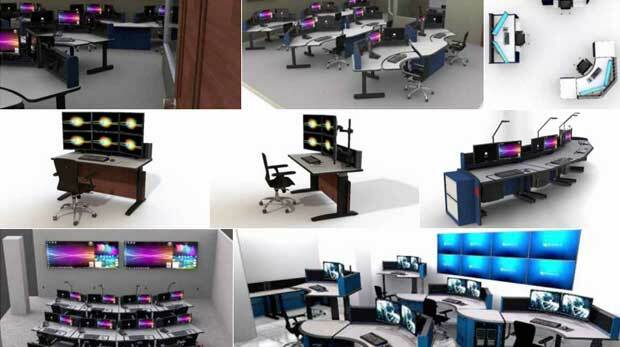 Sit stand capable control room furniture. 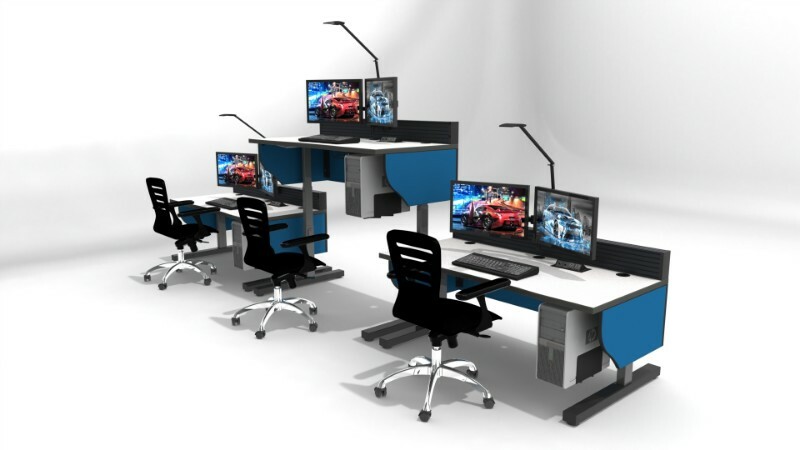 Configure adjustable height consoles with flexible monitor arrangements. Adjustable height furniture for operator flexibility and comfort. Adjustable height control room furniture for operator flexibility. 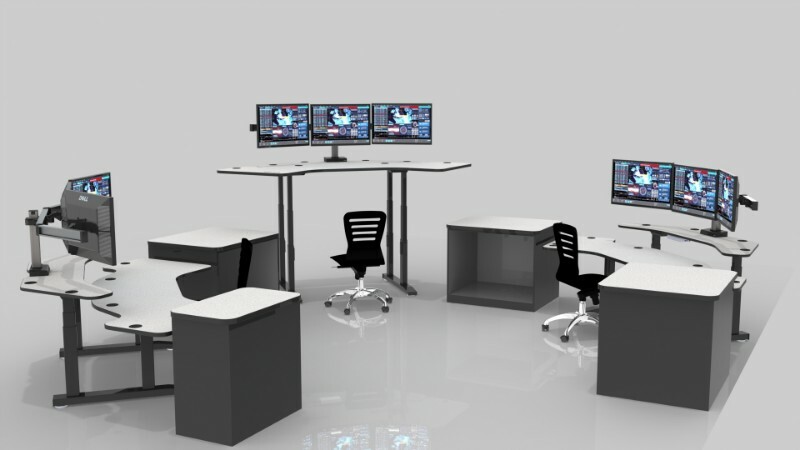 Command Flex Adjustable Height Console furniture is a sit/stand solution intended for the emergency response & control room environments. 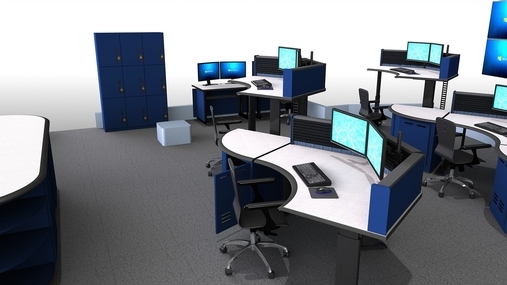 Command Flex Adjustable 911 dispatch furniture features adjustable height work surfaces for keyboards and/or monitors to help operators customize their work space for their optimum ergonomics. 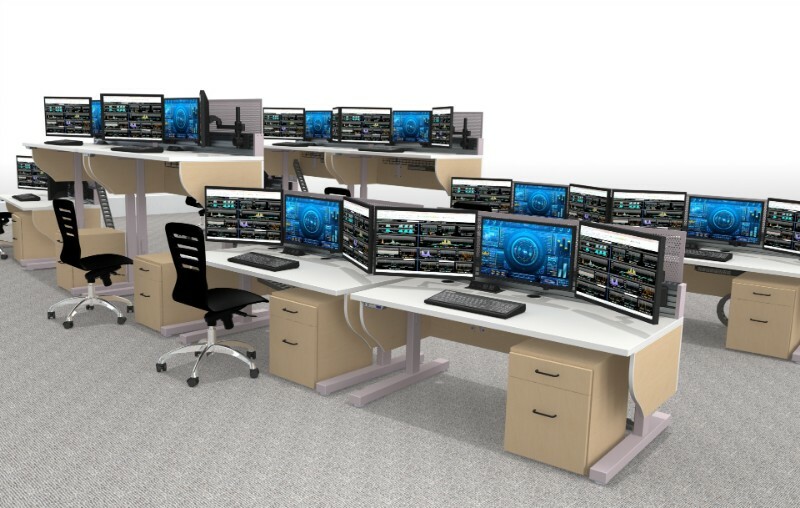 These are often used in 911 environments which require operators to constantly man their workstations such as dispatch and emergency response. These are often government facilities and emergency dispatch stations which need to maximize their budget. 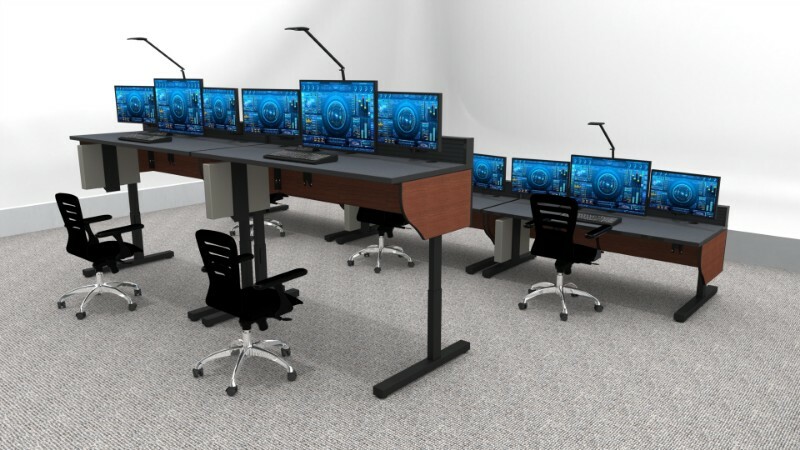 Command Flex provides the ergonomic and functional benefits of a professional adjustable height console workstation while keeping costs to a minimum. The adjustable height feature for Command Flex consoles allows for a welcomed change of position to improve operator comfort and help prevent sore muscles and mental fatigue. In emergency 911 dispatch centers, focus and mental awareness is a necessity. 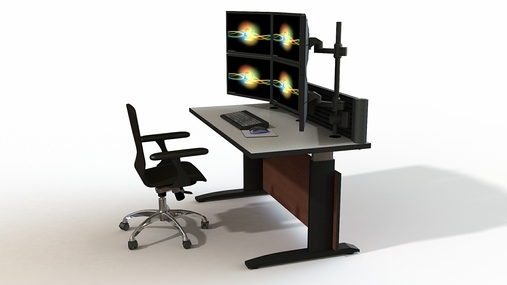 Operators can alternate between working in the seated and standing position, keyboards and monitors adjust with them. The work stations are electronically activated to adjust height at the touch of button. Command Flex is much more than a simple adjustable height table, it manages cables with an integrated flexible cable raceway that keeps monitor and server cords safely connected as the work surface rises. Integrated power outlets in the back panel provide a convenient and accessible power source for hardware. 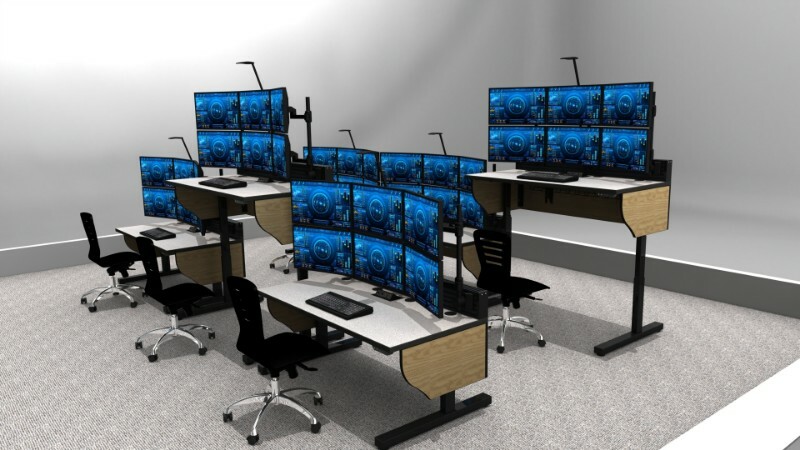 The Slatwall Cube integrates to the frame behind the work surface to allow for securely monitoring multiple monitors in various configurations. The open design of Command Flex Adjustable keeps cost to a minimum. PC’s and hardware are simply placed on the floor or can be suspended with the CPU holder underneath the work surface. The robust laminate work surface features a bulbous edging to prevent chipping. Command Flex Adjustable units can be used as a stand-alone solution for a single operator or they can be integrated with the standard Command Flex fixed-height console.